I have been officially living in my new house for a week now. We’re not entirely moved out of our old place as we still have quite a bit of stuff there. Every day Joshua goes to work he stops by the old place and loads up the truck with as much stuff as he can. We’re reaching the point where all that is left is furniture; he plans to rent a trailer eventually to do the final move of stuff. While technically we could move everything up all at once right away, our new garage is filled to the brim with stuff waiting to be sold at a yard sale or privately by my uncle. All we need to do is finish painting the other rooms and clear the garage, and then we can officially bid the bay area adieu for good. Since we moved up life has been a bit crazy. Two out of the seven nights we’ve slept here has it just been Joshua and I. It’s either been Joshua’s brother Bobby and his girlfriend Amber staying over or my seesta Dani spending the night. People have been dropping by constantly, and I love it that people can finally visit us. I’m hoping to organize a housewarming party towards the end of the summer. Maybe people will actually show up this time! 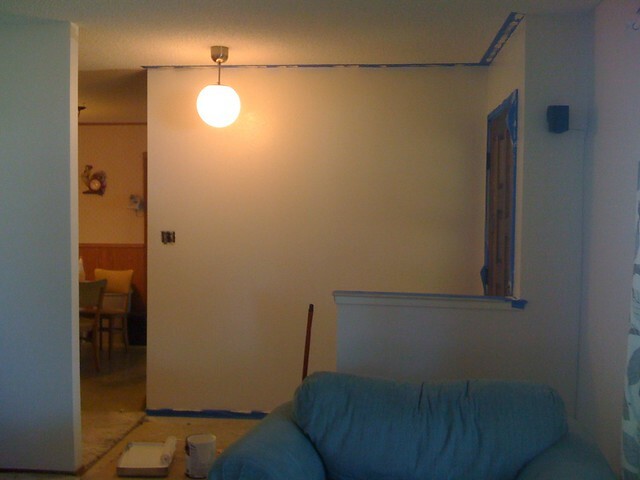 We have the living room, entryway, hallway, and office room all painted except for the trim. 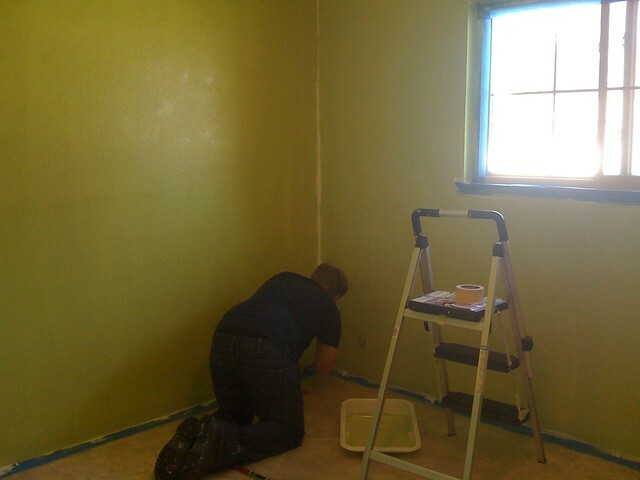 All we have left to paint is the two bathrooms, the guest room, master bedroom, kitchen and dining room, not to mention finishing up the other already painted rooms with decorative things. We have a lot of work ahead of ourselves!